The world has gone digital, so what does that mean for a company with roots in radio? The world has gone digital, so what does that mean for a company with roots in radio? Big things, it turns out. While you might think that radio has no staying power with today’s digital marketing products, you’d be wrong, and Townsquare Interactive is proof. Townsquare Interactive is the digital marketing arm of Townsquare Media, the third-largest owner of radio stations in the US with 321 stations in 67 local markets. Townsquare Media owns and operates 20+ brands with national websites that average 50 million unique visitors every month and produces more than 200 live events every year, including concerts and festivals. Townsquare Interactive took shape when we wanted to give our radio advertising clients another avenue to get found online, attract customers and grow their businesses. That hits the nail on the head. When listeners hear a small business’s advertisement on the radio, that business had better have a strong online presence to reinforce their credibility, maximize their accessibility and convince that potential customer to get in touch. That’s why we offer the services we do, including web design, search engine optimization and reputation monitoring. In our experience, using radio advertising and digital marketing in tandem make for an exceptionally strong marketing campaign small businesses can get behind. 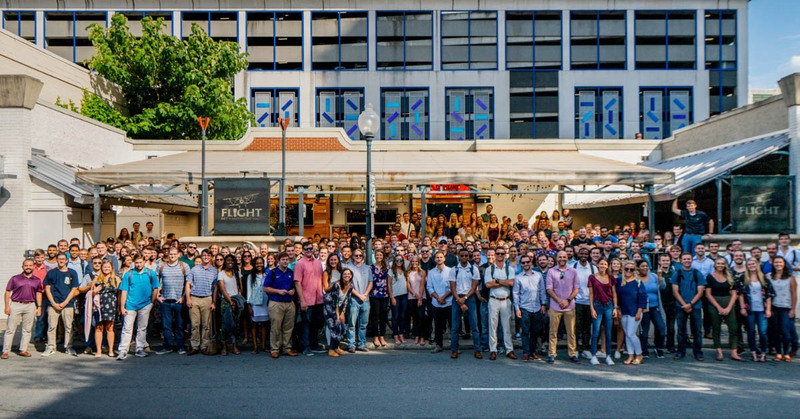 As for Townsquare Interactive’s own growth, Bill Wilson and President Tim Pirrone are optimistic about what’s coming in 2019. Because of Townsquare Interactive’s renewed focus on “Local First,” we are well-positioned to partner up with small business owners in small- and mid-size markets across the country. And Tim is still very conscious of the role radio plays in Townsquare Interactive’s success. So, is radio still a viable marketing solution capable of complementing other digital marketing offerings? So, is radio still a viable marketing solution capable of complementing other digital marketing offerings? We certainly think so, and the numbers back it up. We’re continuing to grow and expand our digital marketing services and are proud to be driving the media revolution. After all—it just makes sense. Radio advertising is a great tool for directing listeners and potential customers to learn more about advertisers, and maintaining a web presence gives them somewhere to land when they come seeking more information. That’s why our radio services and digital marketing services mesh so well. Tim Pirrone is headlining the 10th Annual Local Online Advertising Conference in New York City this March. Want to learn more about how Townsquare is moving forward in 2019? Tim Pirrone is headlining the 10th Annual Local Online Advertising Conference in New York City this March. Click the link to see how you can attend.